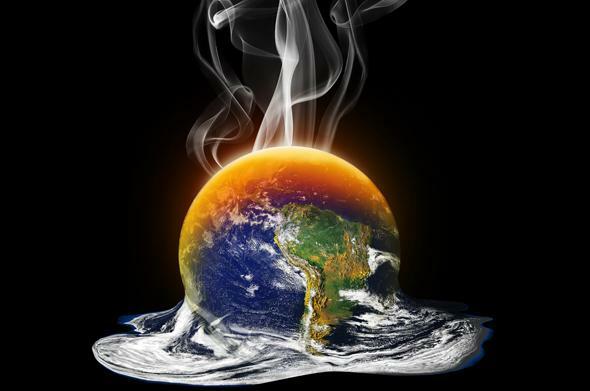 Congressperson Lamar Smith continues his attacks on science. 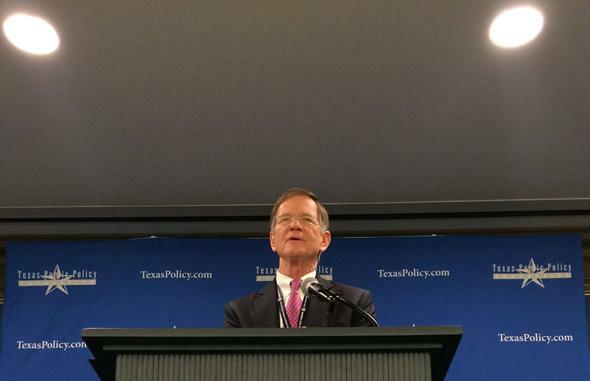 Rep. Lamar Smith (R-Texas), who has been attacking climate science for years now. OK, let’s get you caught up first. Smith is the head of the House Committee on Science, Space, and Technology, and is also a 100 percent head-in-the-sand climate change denier, as well as a conspiracy theorist. A list of his nonsensical claims would take a long time to catalog, so here are just a couple: He thinks that scientists are manipulating data to make it look like the Earth is warming, and that the global warming pause is actually a thing, despite huge, overwhelming amounts of evidence that it isn’t. Sadly, as head of the science committee he has the power to manifest his conspiracy ideations. He has used the threat of “Congressional oversight” to harass scientists at the National Oceanic and Atmospheric Administration, including subpoenaing its administrator, Kathryn Sullivan, a scientist and ex-NASA astronaut. The minority (Democratic) committee ranking member, Eddie Bernice Johnson, protested this move vocally. The NOAA refused Smith’s ridiculous request. Smith then slipped into some sort of alternate reality, demanding information from the NOAA because he thinks he has whistleblowers who claim NOAA scientists rushed a global warming paper into publication. Johnson wrote yet another letter to Smith protesting his actions. Smith responded by overreaching even more, broadening his McCarthy-esque fishing expedition against the NOAA. That loud noise you may have just heard was my irony gland exploding. Smith, who has done nothing but intimidate and threaten scientists with prosecution, has the temerity to accuse the UCS of this. Amazing. Yeah, in that last part he means climate change deniers. “Best ways to address climate change.” Please. Smith has gone back to his tactic of demanding all correspondence, wanting everything —“all documents and correspondence”— from the UCS to the offices of the attorneys general, hoping that a broad fishing expedition will turn up something that, one assumes given repeated past history, can be taken out of context to support his denial. The UCS has responded, and was very clear about their answer: No. In their letter to Smith, they are adamant that Smith has vastly overreached his legal authority and jurisdiction. It makes my heart sing to see that they too point out the irony of Smith claiming the UCS is trying to suppress the First Amendment rights of fossil fuel companies while he’s attempting to squelch the UCS’s First Amendment rights. As I have said many times, this is an abuse of power on Smith’s part, pure and simple. He will do anything to slow or stop research into climate change and cast aspersions on scientists, no matter how untrue his claims are. The final irony? We now know for a fact that Exxon has been misleading the public for decades; they knew in the 1970s that their product could harm the Earth’s environment. Maybe someone should clue Smith in on this, if he can hear it over the sound of fossil fuel industry donations pouring into his coffers. Sadly, Smith is in a Texas district unlikely to elect someone to replace him (though democrat Tom Wakely is running against Smith in Texas District 21 for the November election, and is very clearly on the side of reality when it comes to climate change). The only way I can see Smith releasing his power is if he has to, and that means the Democratic party gaining a majority in the House this November. That seems unlikely to me as well, though not out of the question. With record temperatures the past seven months; with 2016 almost certainly going to be the hottest year globally on record (beating out 2015 and 2014); with the Great Barrier Reef sustaining massive (perhaps irreversible) damage due to global warming induced coral bleaching; and with Donald Trump bloviating about droughts and picking a global warming denier as his energy advisor, the sooner the deniers like Smith are out of power, the better our planet—the better all of us, every human on Earth—will be. Hat tip to climatologist Michael Mann.